Today adidas and Coach Welter kicked off the first girls’ flag football camp in Atlanta, as part of a series that adidas will co-host with Jen to serve underprivileged kids across the U.S. in 2019, including Atlanta, New York, Los Angeles, Boston, Miami and Dallas. 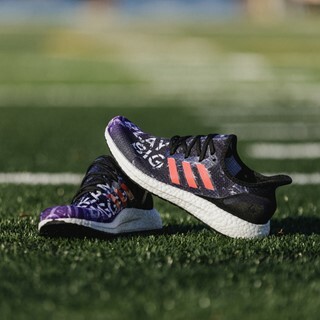 As part of the partnership, adidas and Dr. Welter will explore new ways to increase access to the sport for young girls, including utilizing the camps to secure digital data from female athletes to help inform the future creation of adidas women’s products. In addition to coaching, mentoring, and teaching life skills at the flag football camps, Dr. Welter will play an integral role in brand initiatives and marketing campaigns. 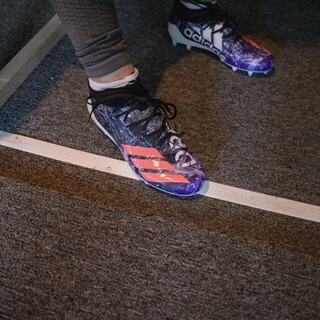 To welcome Jen to the adidas family, the 3-Stripes brand created the revolutionary adidas Made For Jen Welter (AM4JEN), the first women’s football cleat digitally created at SPEEDFACTORY USA in Atlanta, GA. 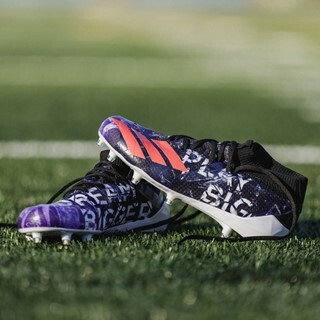 In a direct collaboration with Dr. Welter, adidas designers crafted one-of-one custom cleats that both represent her inspirational story and are tuned for her unique functional product needs.